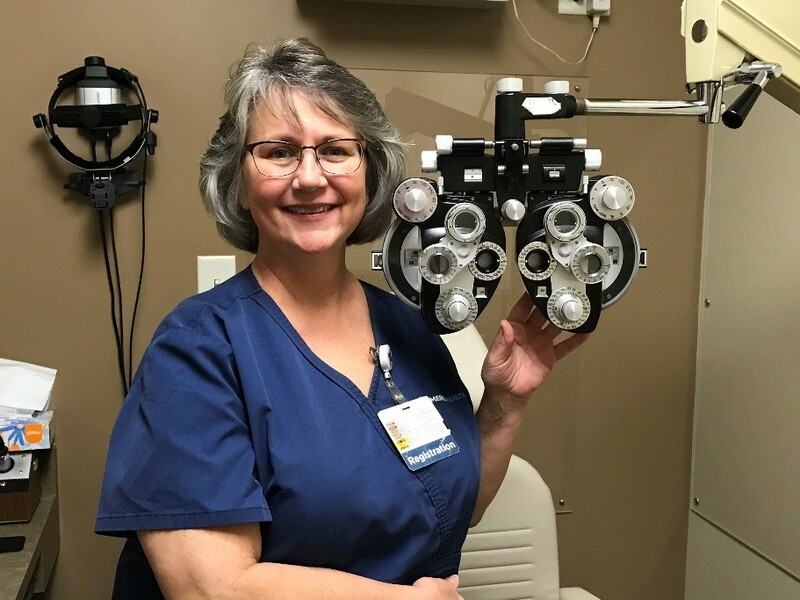 The Ophthalmic Technology Program at Mercy College of Ohio is on the upswing with enrollment, activity, and syllabus changes. With three locations in Toledo, Youngstown, and now Cincinnati, word is spreading throughout the Ohio Region about this great two-semester Ophthalmic Assistant certificate program. This unique hybrid program approach, with a mix of convenient online courses and live ophthalmic workshop time with dedicated instructors, gets rave reviews from the students. Next year some of the clinical hours will be moved into the latter half of the first semester, whereas up until now, the clinical hours have been solely designated to the second semester. We feel this earlier introduction to clinic paired with lab time, is a great way to transition what is being taught in the lab with what is actually expected to be performed in clinic, with plenty of instructor guidance and feedback. An additional benefit is that the students will no longer have to commit to as many clinical hours in one semester, allowing them more time for their usual paying jobs while they work on their certificate program. We recognize that convenience is a key factor in program registration and retention. We are working out the details now, but the course instructors are committed to preparing the students to be well-equipped to succeed with this new format. We also plan on converting to the new textbook, Principles and Practice in Ophthalmic Assisting: A Complete Textbook, by Janice Ledford and Al Lens, 2017. This is such a great book with informative and relevant content, easy-to-follow flow, and wonderful illustrations. We look forward to incorporating it into our Ophthalmic Technology Program in Fall 2018. For more information, please go to www.mercycollege.edu/eye.